You look for quality in life: quality time, quality sleep, quality food, but what about quality air? Have you thought about the indoor air quality in your home and how it can affect you and your loved ones? When the quality of air in your home is poor, you can experience health problems. How can you get quality in life and improve your quality of life? 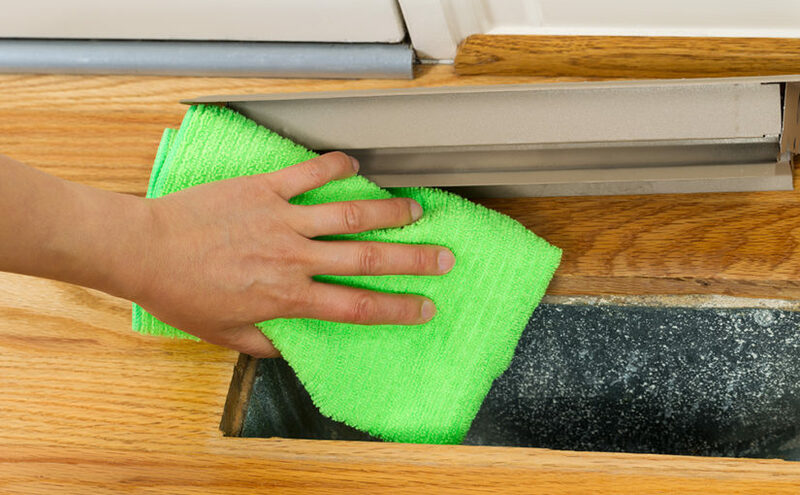 One simple step is improving your indoor air quality. If there was one place in your home that is most likely to cause allergy flare-ups, it’s your basement. Due to the high humidity, basements make excellent hosts for the most common home allergens. It’s surprisingly common to find mold in the basement, making it one of the most likely triggers for allergy symptoms or respiratory issues in a house. That means you need to allergy proof your basement, and you’ll need to know where to start. EverDry Toledo can help! Read this list to learn the steps you can take to reduce your chances developing mold in the basement. Excessive moisture creates the ideal environment for mold in the basement and dust mites. By reducing the moisture levels, you can make it difficult for them to thrive in your basement. When using your dehumidifier, you’ll want to aim for 35-45% relative humidity. Higher humidity is what promotes molds and dust mites, but if the humidity is too low it can promote viruses. The E-Z- Breathe System can improve your air quality with no regular maintenance required. Once installed, this unit protects your home from poor air quality, as well as molds, toxins, and allergies. Learn more about improving your home’s atmosphere with the E-Z- Breathe System. 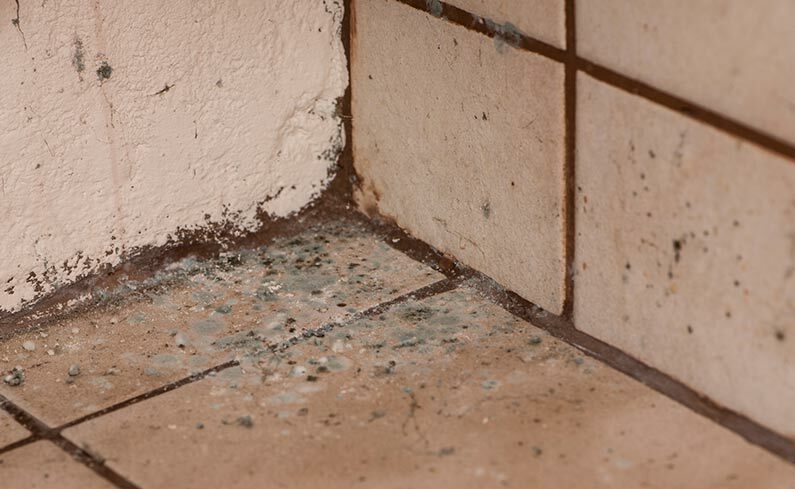 This may seem obvious, but even the tiniest bit of mold needs to be removed as soon as possible. Never let the problem get out of hand and you can save yourself a lot of trouble down the road. While some people believe musty smells are typical for basements, they’re not – they’re only a strong indicator of mold or mildew. Just because you can’t see it, doesn’t mean it’s not there! The moment you think you notice the smell of mildew or mold in the basement, identify the source and remove it. Wall-to-wall carpeting may look nice in your basement, but it can absorb a lot of moisture over time. To prevent allergens, consider basement floor options like cement, slate, or linoleum. There are plenty of ways to keep your floor looking great without the need for carpet – and almost any other option reduces your risk of promoting mold in the basement. Small leaks can be dealt with on your own with the right DIY knowledge, but sometimes the small problems are indicators of a bigger issue. It’s always best to call a professional to safely deal with any plumbing issues before they become disasters. Take every leak or break seriously, as water can quickly cause damage that requires costly repairs. With the hot summer days shifting to crisp fall nights, many homeowners are getting ready for the colder months. Kiddie pools, outdoor patio furniture, and backyard grills are being put away in exchange for cozy blankets, fireplaces, and sealed-up windows making the house more air tight. You’re probably spending more time in the basement organizing and putting away summer items. You might even start to notice that you or your family members are suffering from an increase in runny noses, watery eyes, coughs that linger, or even headaches. Is it the change in weather or is it something more serious? Ever heard of Toxic House Syndrome? One of the biggest problems during the changing seasons is the exchange of fresh air circulating through your house in the warmer months for stale, polluted air circulating inside the home during the colder months. Based on a report by the Consumer Product Safety Commission, 90 percent of our time is spent indoors and indoor air quality can be up to 50 times more polluted than outdoor air. Even worse, poor air quality in the home accounts for more than 80 percent of people who are at risk for respiratory conditions. You might think that you have a virus, but it might actually be something much more serious. Is Your Basement the Culprit? The area of your home that has the least amount of ventilation is your basement. Basements tend to have the highest levels of humidity in the home and is the perfect breeding ground for mold growth. Many suffer from severe allergic reactions to mold in the home and don’t even realize it. Other allergens that start in your basement include: fungus, bacteria, and dust mites. Proper ventilation can control indoor humidity and air born contaminants, but most homes have a closed loop ventilation system that simply recirculates the same air in the home over and over again. The recirculation of air causes a buildup of contaminates that will eventually become hazardous and in some cases even deadly. Team EverDry is here to help! Don’t wait for your home to become toxic, call EverDry Toledo today and ask about our E-Z Breathe System. It’s a maintenance-free unit that helps protect your home and family from excess moisture, molds, toxins, allergies, and poor air quality. Schedule your free inspection or give us a call at (419) 841-6055 to get started! Stay connected with EverDry Toledo on Social Media!